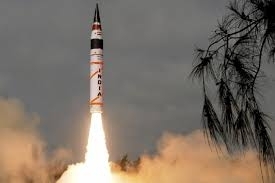 Bhubaneswar April 27 (IANS) India on Thursday successfully test-fired its intermediate-range ballistic missile Agni-III from Abdul Kalam Island off the Odisha coast. 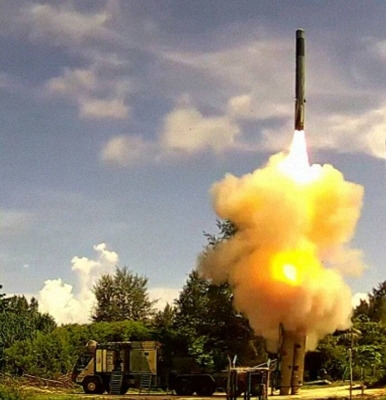 The missile lifted off from launch pad No.4 of the Integrated Test Range located on the island at 9.12 a.m. sources in the Defence Research and Development Organisation (DRDO) said. 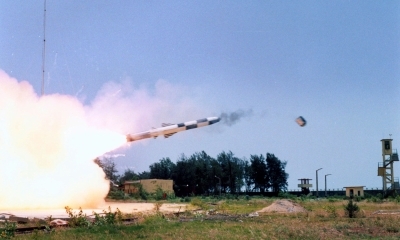 This was a user test undertaken by the Strategic Forces Command -- an especially raised missile-handling unit of the Indian Army. It carried out the test with logistics support from the DRDO. Agni-III is the mainstay of India s nuclear arsenal and the missile used for the test was randomly chosen from the assembly line according to sources. The missile has a strike range of 3 000 km to 5 000 km and is capable of carrying both conventional and nuclear warheads weighing up to 1.5 tonnes. The missile is powered by a two-stage solid propellant engine. The missile is 17 metres long with two-metre diameter and weighs around 2 200 kg. 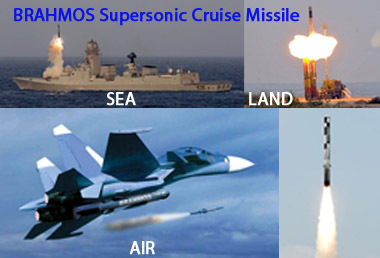 India also recently tested BrahMos missile with an extended 450 km range has undertaken a drop test of the air version of BrahMos exo-atmospheric Prithvi Defence Vehicle (PDV) interceptor missile and endo-atmospheric Advanced Air Defence missile both part of a two-tier anti-ballistic missile system Agni IV and Agni V in the last six months.